As the wife of a well-respected painter, Agnes Brown benefited from her husband’s reputation, encouragement, and lifestyle. However these same privileges tend to obfuscate Agnes Brown’s independent legacy in the historical record as a painter in her own right. While Agnes Brown is rarely considered outside of the context of her husband, however, her paintings retain significant authority on their own. 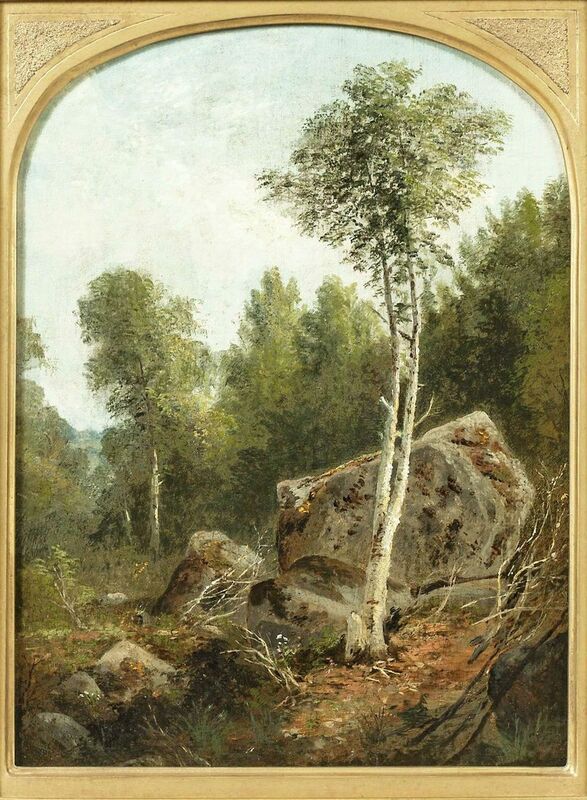 Landscape with White Birch, for example, carries weight as a stand-alone vignette. 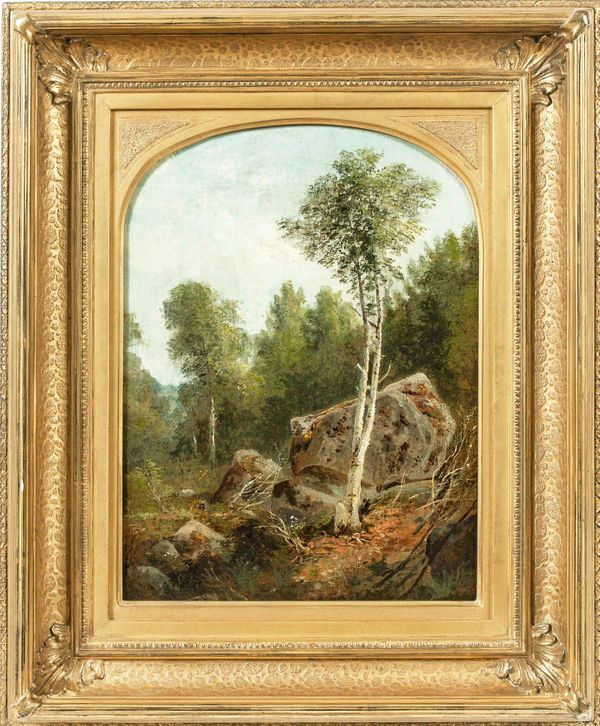 In Brown’s choice of an arched frame and use of expressive brush strokes to render surprising detail, this pastoral summer scene of a New England landscape ranks among those of her husband and other predominantly male members of the American Barbizon school.